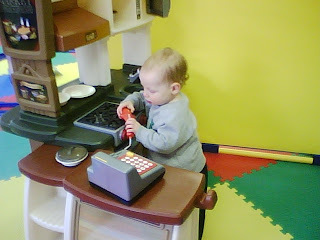 Ben in the kitchen playing with his favorite item - the cash register. 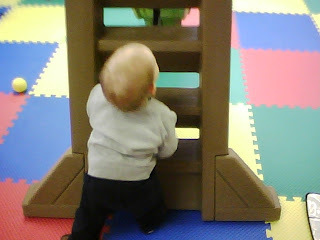 Ben learned to climb the ladder for the slide. 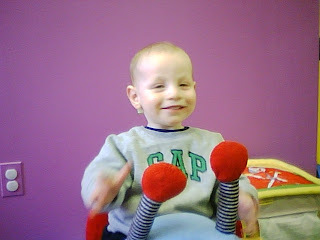 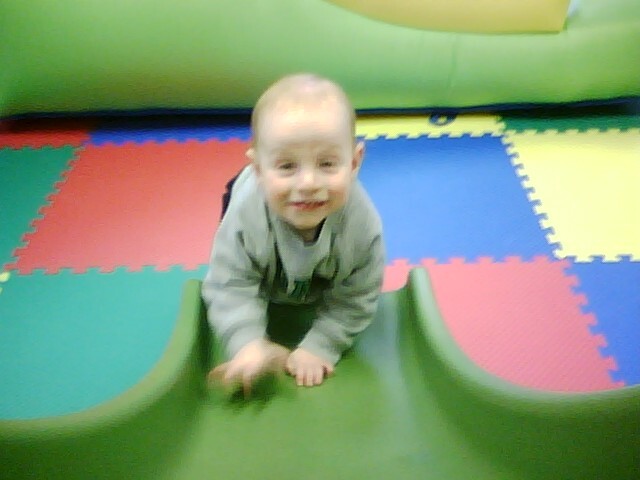 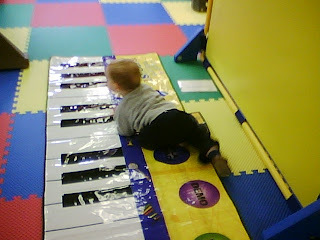 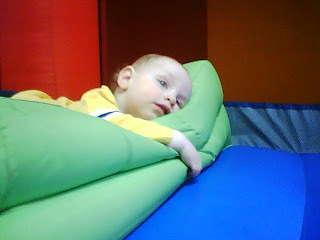 After a successful slide down, Ben tried to climb up the slide. Rockin' on a big snail.